We got one life, its going to end one way or another. So the time we have in this world must be used as well as possible. And Long Track Ice Skating is something which moves me, make the heart beat that bit harder 65 National Records some broken bone and some bruised body parts later still standing. For every athlete, the ultimate goal is the Olympics. When inline skating failed to become an Olympic sport, Vishwaraj’s move to Long Track Ice Skating was natural. He packed his bags and moved to Europe in pursuit of becoming the first Indian to be on the ice at the Winter Olympics in the sport of Long Track Speed Skating (Wiki). 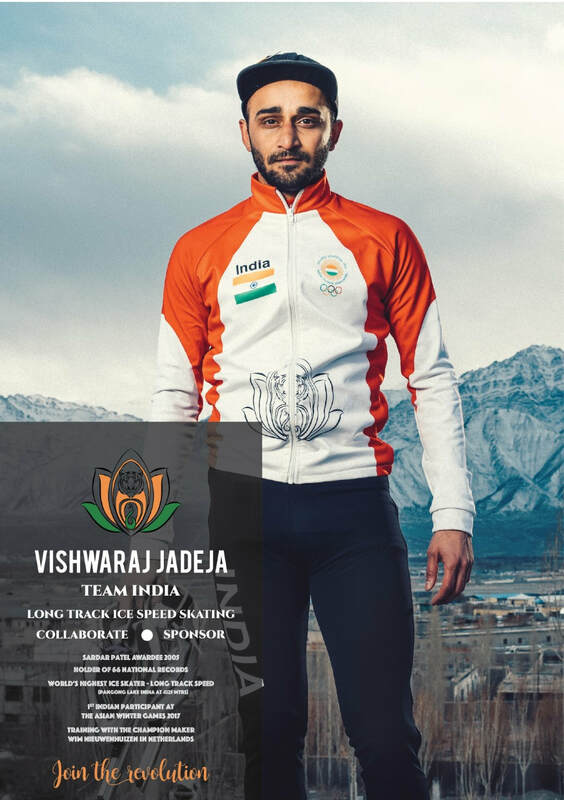 Vishwaraj is one of India’s best Long Track Ice Speed Skaters and has broken a lot of records ( 65 times over Various distances. If you want to find out more about his achievements you can find all the results on the Records and Achievements section of this website. NO MATTER HOW TALL A MOUNTAIN, THERE IS ALWAYS A WAY TO THE TOP. - wise words from some very wise human being.